Ireland’s indented and amazingly variable coastline is over 7000 km long. Furthermore, most of the shore is natural, and tides can move high up into estuaries. Rocks and soft-boulder sea banks erode, while dune faces and sand banks shift. Changing water depth, exposure, temperature and salinity provide unique habitat mosaics even within a given bay. Inshore waters not only support a rich diversity of life, but also an enormous biomass. Ancient archaeological findings are a powerful testament to how much our ancestors depended upon the riches of the sea. While the remains of shell middens and ancient fish traps highlight the importance of the sea in providing food to bygone civilisations, place names like ‘Oyster Point’ poignantly remind us of once-valued species now regionally extinct. Meanwhile, old, excavated harbours demonstrate the age-old history of ocean transport and fishing. 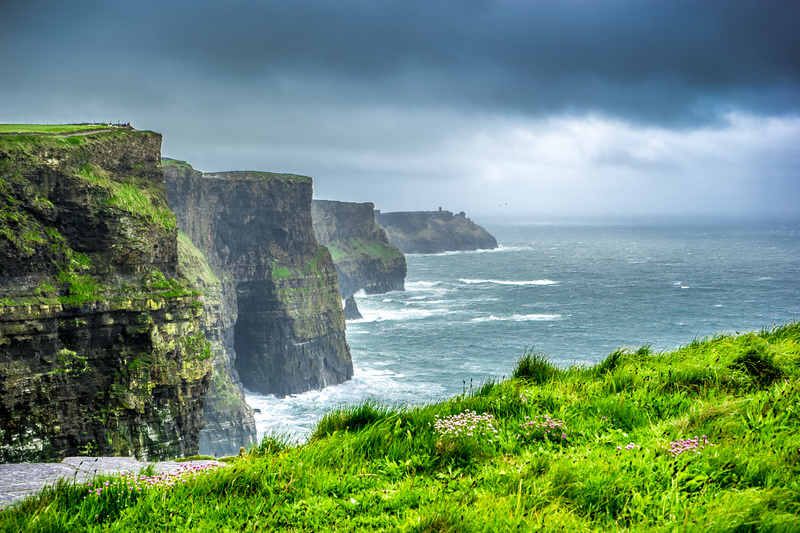 Today, almost everyone in Ireland either lives in the coastal zone or visits it at least once a year. What attracts people to the sea? For visitors, perhaps it’s just the natural beauty and power of the ocean vista, or more specific features like birdwatching or seashell collecting. 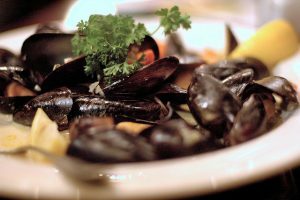 Seafood and the opportunity to swim amid the waves remains a potent draw. Other people depend directly or indirectly on the coast as a source of employment. 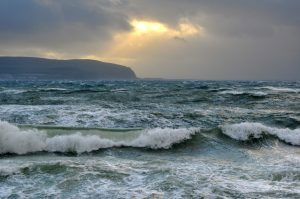 As our failure to conserve Irish fish stocks has shown, the prudent use of shared resources is a challenging operation. The unwise, unsustainable exploitation of land and sea has given rise to a complex web of problems. Our coastal land, once characterised by many small wetlands, has seen the development of housing, hard infrastructure, intensive agriculture, and golf courses. These wetlands, which previously formed natural buffers against soil loss and helped prevent pollution from entering the sea, have been drained or infilled. While today most major towns have sewage treatment plants, there are more small, diffuse sources of potential pollution than in the past, which, combined with less wetland and scrub buffer, has resulted in high nutrient enrichment and pollution risks. Coastal water uses which depend on water quality – like shellfish harvesting – are suffering. Climate change is likely to exacerbate our coastal vulnerability and heighten the need for better pollution control, more careful planning and wetland restoration. Fast-developing renewable technologies capable of harnessing our excellent wind, wave and tidal resources will introduce unprecedented changes to coastal zone management, either for better or for worse. As we move toward this future, it’s imperative to emphasize more informed public participation, full implementation and enforcement of law – including the Water Framework Directive and EU Marine Strategy Directive, plus the reform of our common fisheries policy. These steps should bring smarter and more transparent engagement with our coast and estuaries and with it, the recovery of damaged areas.